By now, I've had some time to recover from the gut-wrenching experience that was watching some of my favorite Marvel heroes disintegrate in Avengers: Infinity War. At last, I am emotionally stable enough to discuss the event in detail. And thanks to Reddit user Jester651, I may finally be able to come to terms with the Snapture. The Snappening. The Snapocalypse, if you will. Jester651 proposed a theory about exactly how a fully-loaded Infinity Gauntlet allowed Thanos to annihilate half the universe. From here, we'll be taking a closer look at how each Infinity Stone played into Thanos' specific wish. First off, the Power Stone. Like the name suggests, the Power Stone provides the Gauntlet with the raw power necessary to achieve such a feat as wiping out half of the universe. So powerful, in fact, that Thanos was able to do it in the snap of his fingers. The Power Stone, once connected to the other stones in the Gauntlet, also amplifies their power. Next up, the Time Stone. In conjunction with the Space Stone (hold on, I'm getting there), the Time Stone allowed Thanos to affect the entire universe all at once. Again, the infamous snap comes up, as the Time Stone allowed Thanos to annihilate half the universe's population in a snap (or an instant). Then comes the Mind Stone. According to the theory, the Mind Stone is what connects Thanos' mind to the rest of the stones, essentially creating a mind-Gauntlet link that allows him to bend the stones to his will. Along with the Soul Stone, the Mind Stone allowed Thanos to specify how much of the population of the universe he wanted to see vanish. Jester651 theorizes that Thanos only wanted to halve the populations that he hadn't already manually halved prior to the Snapture (i.e. the Asgardians, the Xandarians, etc). To halve those populations again wouldn't be fair or balanced, which is kind of Thanos' whole MO. The Soul Stone was crucial in that it sought and destroyed (at random) the souls of those previously whole populations, specified by Thanos with the help of the Mind Stone. 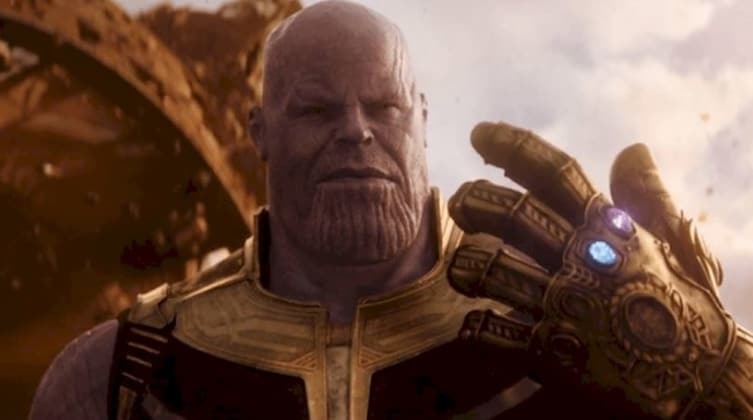 The Soul Stone had a crucial role in Thanos' specific cause, which is likely why it was the most difficult (and necessary) for him to acquire in the film. Which brings us to the Reality Stone. As you might've guessed, the Reality Stone is what physically changes reality, in this case by effectively dissolving those chosen by the Soul Stone. The Space Stone allowed Thanos' wish to encompass the entire universe, rather than just Earth, for example. It's a really great all-in-one tool for the universal annihilation of populations. Jester651 came up with a great little sentence to bring each aspect of this theory together. "Thanos snapped his fingers (Power Stone) and all at once (Time Stone)... His mind linked (Mind Stone) to the stones... The souls are selected (Soul Stone) at random... Half of all life is erased (Reality Stone) across the universe (Space Stone)." I gotta say, I'm a fan of this theory. It's an interesting take on the inner workings of the Infinity Gauntlet and Stones in relation to Thanos' desires. I just wish it didn't work out so horribly for the Avengers and their friends. What do you think of this theory? Let us know in the COMMENTS!